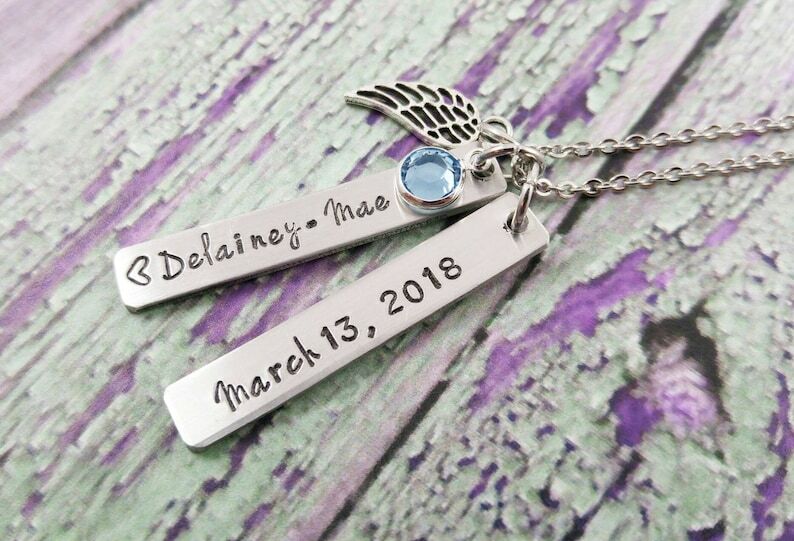 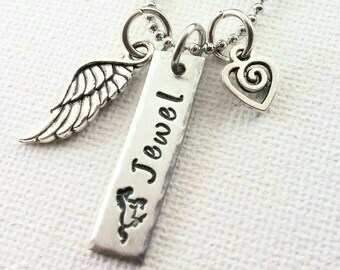 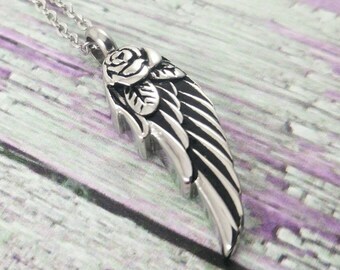 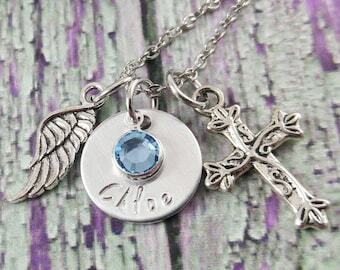 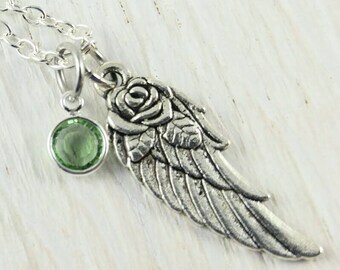 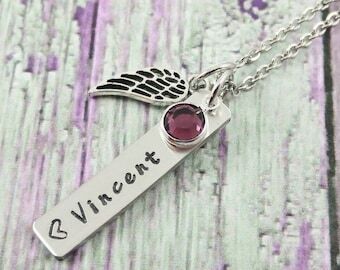 This Infant memorial necklace features a name and birthstone, angel wing, as well as a date which may be the birth date. 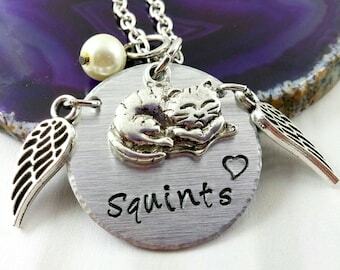 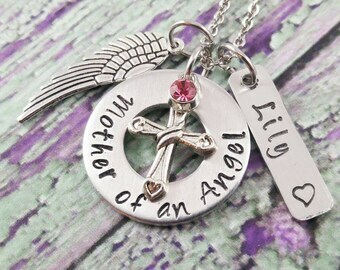 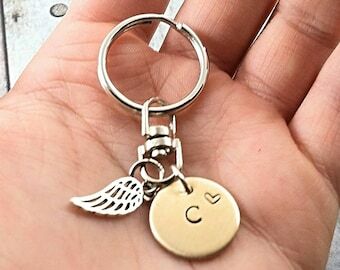 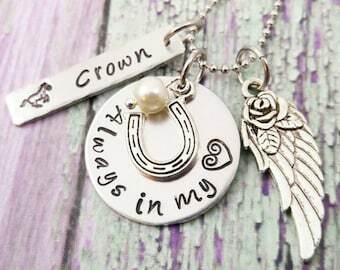 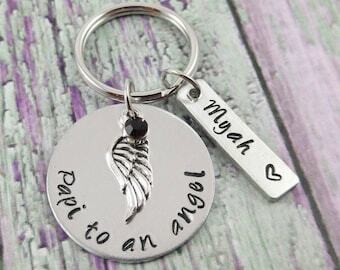 It's a touching piece of infant loss jewelry which will make a lovely gift. 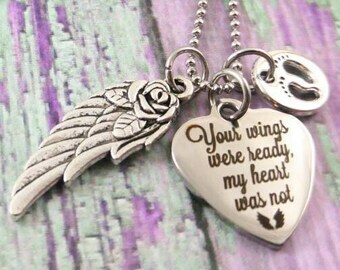 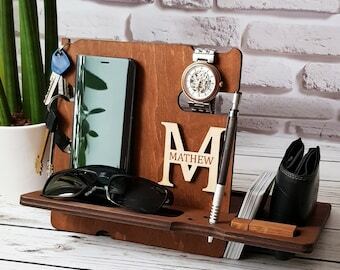 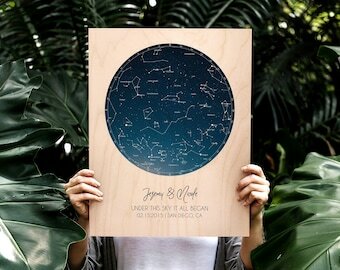 Perfect memorial for my sister. 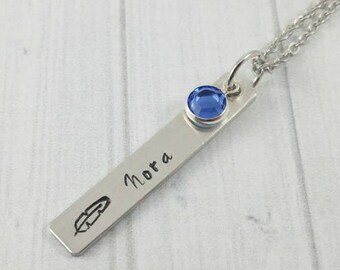 Item was made and shipped quickly. 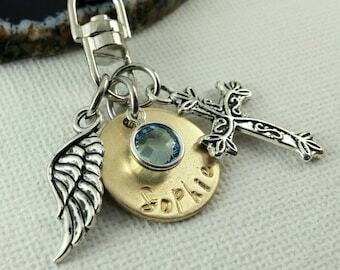 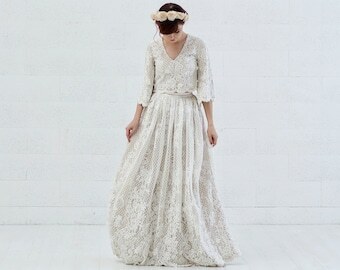 Good communication with the artisan regarding customizing my piece.